Weather Wreaking Widespread Havoc - Planet Aid, Inc. While the U.S. Midwest just saw the lowest temperatures in a generation, with more than 70 percent of Americans impacted by blizzard conditions and below-freezing temperatures, many in southern Africa are enduring severe weather at the other extreme. It’s currently the height of summer in southern Africa. The rains should have been falling steadily beginning in October; however, the region has received only a fraction of what was expected and needed. To make matters worse, when rain finally did arrive, it was spotty and extreme. In Mozambique, for example, severe flooding in the northern reaches of the county washed away 1,300 hectares of crops, destroyed homes, displaced thousands, and caused injury and death. Meanwhile, the southern part of the country is still lacking needed moisture. Many of Southern Africa’s rural residents are “subsistence” farmers, growing food to feed their families and hoping for a surplus to sell. The vast majority of these farmers practice “rain-fed agriculture,” which means that they are wholly dependent on the weather for sustaining their crops. 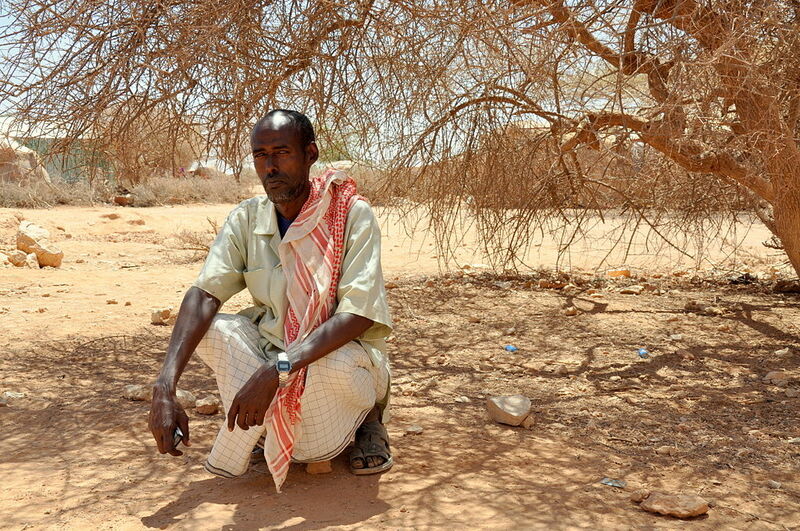 Additionally, since most of these rural farmers live on the economic margins, a loss of rainfall can be catastrophic. The lack of rain delayed the planting of crops by more than a month in some areas. 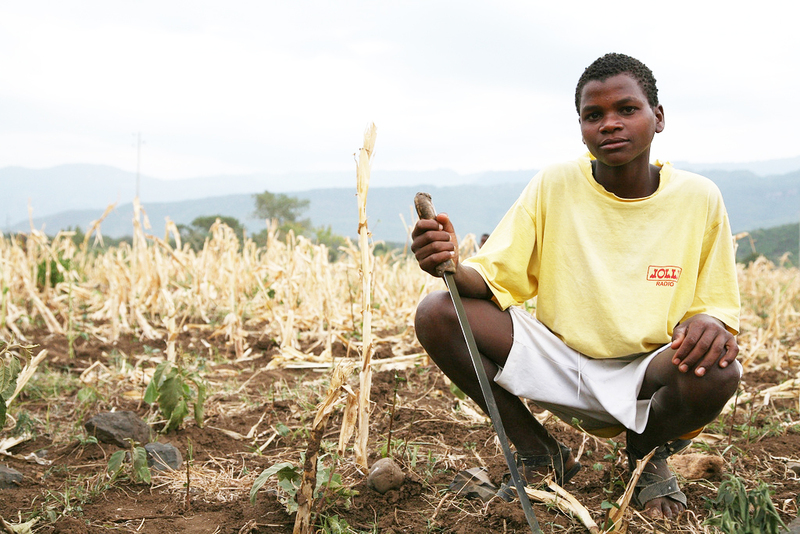 By December, only 53 percent of planned planting in southern Mozambique was completed. This delay means food shortages and a lot of empty stomachs in the coming months. It also means setbacks for development progress. 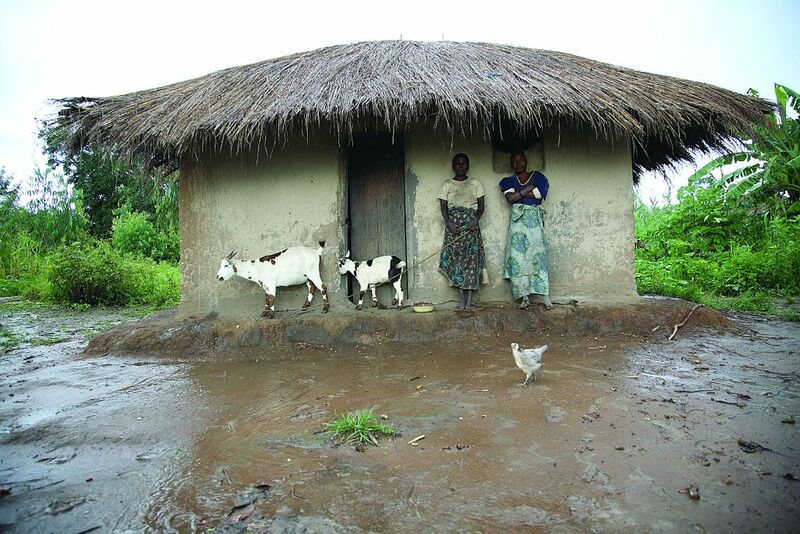 Planet Aid is helping fight these weather-related challenges in southern Africa by helping communities increase their capacity to deal with adversity and make progress toward a better life. One example is the Child Aid project that we help support in the Rushinga District of northern Zimbabwe. The project is being implemented by Planet Aid's sister organization, DAPP Zimbabwe. Child Aid is a development model that works toward creating a supportive environment for children (especially girls) and building community self-reliance. Through Child Aid, community members are organized into “village action groups,” whose aim is to prioritize and address the key development challenges faced by the village. The Rushinga Child Aid project is currently working with 3,200 families and 150 village action groups to improve lives and livelihoods while coping with climate change impacts. Microfinance (or internal savings and lending clubs) is one of the activities undertaken by village action groups. In Rushinga, members pay into a collective fund managed by the group, and are able to receive loans from it to make improvements to their farms or micro-businesses or, in extreme cases, to buy food to eat when they have none. This type of microfinancing supports local entrepreneurship and affords community members recourse when impacted by events such as severe weather. Rushinga has also focused on developing community nutrition gardens to help expand the variety of crops being grown by members of the group. The Child Aid project has provided training and introduced new varieties of more drought-resistant crops that help the participants better cope with dry conditions. In Mozambique, Planet Aid’s Food for Knowledge (FFK) program has been implementing measures, in partnership with the local NGO ADPP Mozambique, to help schools and surrounding communities withstand the impacts of the changing climate. Approximately 84,000 children continue to receive a daily lunch, consisting of a fortified corn-soy porridge and locally grown vegetables, that are provided by the project. The lunches have been helping reduce malnutrition and are particularly welcome during the current situation. In addition, in March of 2017, FFK launched the Home Grown School Feeding Garden component. 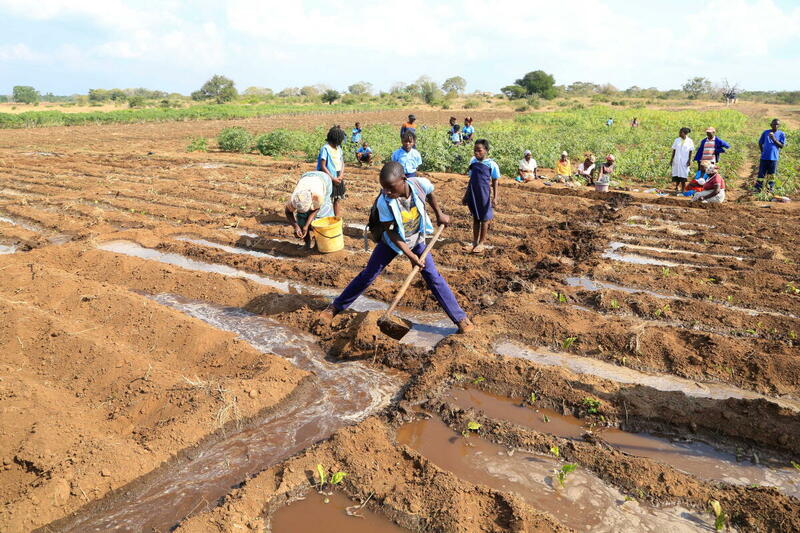 These garden farms, currently located at four schools, are equipped with irrigation equipment to help overcome the usual problems associated with rain-fed agriculture. The project has also built greenhouses to help create a healthier, less variable environment in which plants can be nurtured. These measures are establishing a foundation for the long-term sustainability of the project and strengthening local capacity to cope with the changing climate. You can learn more at planetaid.org/ffk. The cold fronts in the Midwestern U.S. and the droughts and flooding in Southern Africa are recent additions to a long list of extreme weather events, all of which clearly show that climate change is real and is getting worse. The time for action is now. We must save resources and reduce our dependence of fossil fuels. Every action taken can make a difference. Remember, dropping off your unwanted clothing in a Planet Aid bin helps to reduce greenhouse gas emissions. Find out more on our “Reusing Textiles” page. In mostly rural African countries, agriculture is the largest industry with as many as 60 percent of workers being farmers. When a country’s farmers lose their harvest, it not only undermines the economy but creates a humanitarian crisis. After the recent flooding in Mozambique, 167,000 people were helped by humanitarian aid, bringing them out of the crisis category; however, there are thousands more who are still in need. When so many resources are used to combat the devastation caused by severe weather, it leaves less and less funding for countries to put into better education, infrastructure, and health and sanitation projects. This additional burden on developing countries makes it much harder for them to move forward in their development and begin to rise from poverty.